For many years, we never bought pumpkins. I think some of the reason was being frugal and the crops had some issues. One year, the boys and I picked out pumpkins and went to Nana and Papa’s house to carve them in their bigger kitchen. 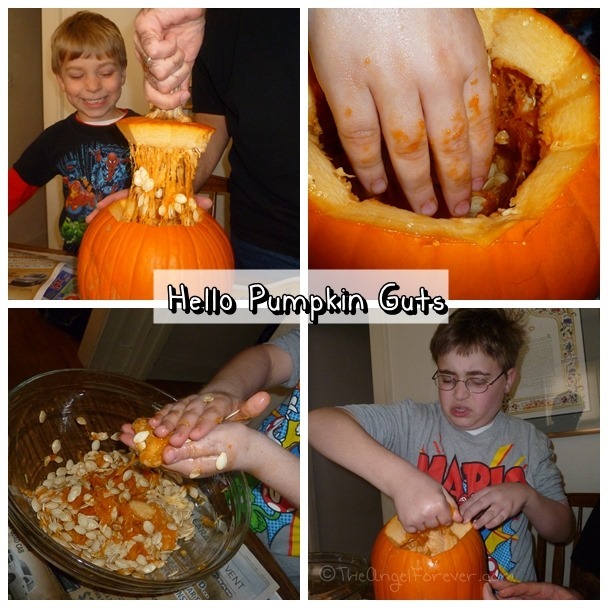 The moment that they reached inside the pumpkins and touched the guts inspired my recent post on Bedtime Math. There is just something special about carving pumpkins, playing with the pumpkin guts, and roasting the seeds. This year, we took the boys out to “pick” some pumpkins at a local gardening store. They spent a lot of time figuring out which pumpkin was perfect. Then this past weekend, it was time to carve them up. Pumpkin guts time was fun as usual. 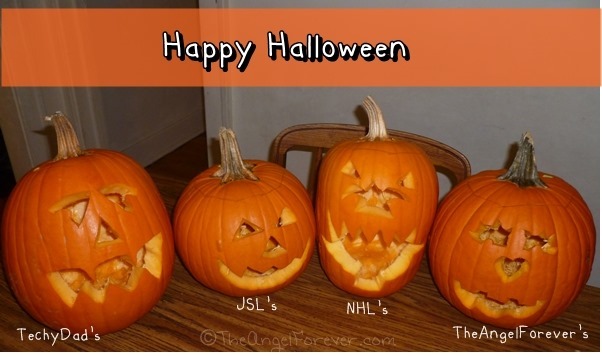 We quickly learned that JSL’s pumpkin was very ripe and he did not like the strong smell. 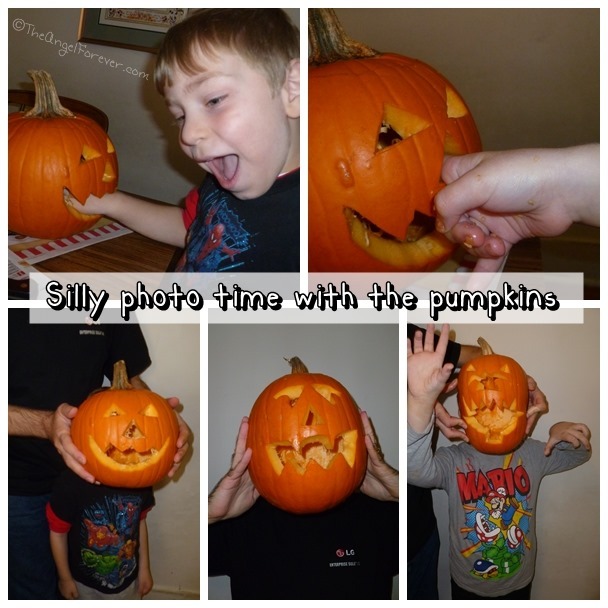 While NHL made a face at first about the feel of the pumpkin guts, he had a blast playing and experimenting while we got everything ready. 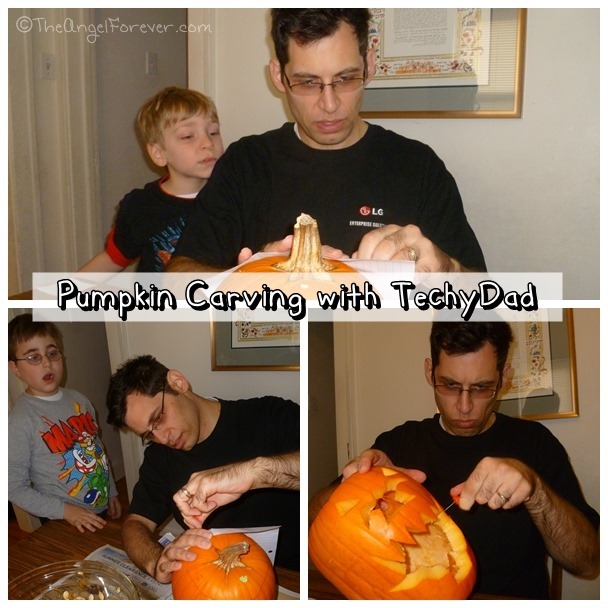 Then, each of us designed out pumpkins and TechyDad did the carving. Of course, when all was said and done, the boys were goofy and had a blast with the entire process. I had to take photos because these are the memories we will cherish years from now. So to all of the kids and kids at heart dressing up as Harry Potter, Captain America, Doctor Who, and other fun ghosts and goblins – have a safe and wonderful Halloween.